FLATMAX WRAP AROUND @ WIENER HOUSE in Villorba – North East of Italy! 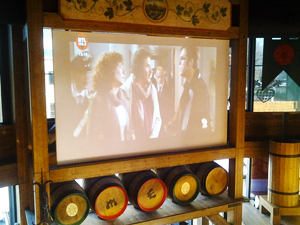 Inside the pub-restaurant Wiener House in Villorba (not far from Venice) a Flatmax Wrap Around is installed together with a projector lift SI-H 500. ISE 2019 – Visit our booth Hall 5 – U60!